THE QUILTED PINEAPPLE: Bad Weather...Great Weekend! This one was one of my favorites. Edyta's new book is all about using scraps and scrap fabric swaps with friends. In this quilt, Edyta used scraps left over from her other scrap quilts. Scraps from her scraps! She uses everything from batiks, to reproduction fabrics, to various prints and they are beautiful! Just beautiful applique. If you look closely, you'll see quite a variety of fabric from batiks, Civil War Tribute fabric, as well as some Jo Morton. Amazing combinations! This is the quilt I plan on starting in January. Edyta wanted to incorporate some of things the state of Michigan is known for like cherries and apples. So scrappy, I love it! One of her newer raw edge applique quilts. Gorgeous! Moi, Edyta and Stephanie. I'm the brunette. Lots of pictures being taken! Don't we already look like the best of pals??? How fun to meet up with Stephanie! It still amazes me how we can meet such wonderful people online! What wonderful quilts of Edyta's!! What a totally fun day! Anyone named Stephanie must be a terrific person. :o) LOVE scrap quilts...I need to do more of that. LOVE that house quilt. It certainly was a fun day and Edyta was extrememly informative. Stephanie is a gem, I liked her immediately. How fun to meet a blogging friend!! I hope I can one day. OMG! Those quilts were amazing. It makes me want to do them all. I wish we could have a snow day. I guess it would be a miracle since it never snows where I live. LOL! I've always loved Edyta's quilts. The way she combines batiks with Civil War fabrics is incredible! Great pictures, wish I could have been there too! How cool to meet your blogging friend in person! It's a snow day off for everyone here also in the north Georgia mountains. Oh what a fun day! I love Edyta's designs and especially that she uses everything in her designs - she knows it's about color and nothing else. And, you are absolutely adorable :-) Meeting Stephanie was a topper to your day. I love how ES mixes different fabrics, all the quilts look fabulous - how lucky for you!! The quilt shop looks like so much fun! It is nice to put a face to you - it is a big step on a blog. What a fun time you had. I do admire Edita's style. What fun! And I missed it all living too far away, bummer! Looks like I'll be needing to pick up Edyta's new book. You are so cute! How wonderful to see some of Edyta's quilts--they are absolutely gorgeous! 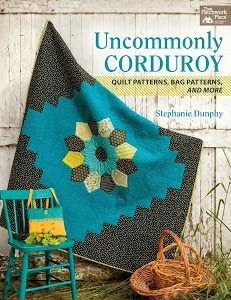 Those quilts are gorgeous, love them. It is so nice to see you in person, wonderful photo of you. Linda, it was SOOOO FUN to meet you IRL! You got some great photos of Edyta's quilts! Nicely done! I want to make that table topper, to. Edyta gave me the template to do it with when she signed my book. Can you believe that?! So, we can do it together! I was thinking the house one would be fun to make for my friend with the liver problems. Maybe we can work on that one together, too. It's just made my year to connect with you and your friends. Thank you again for being so warm, gracious, and accepting of me! How fun to meet with Stephanie. I wish I could have been there to share in the fun. Where do you live in Michigan? I'm on the West side. Woo-hoooo! A bloggy meeting! Looks like you and Stephanie had so much fun! Edyta's quilts are amazing, too! What fun to meet up with bloggy friends in real life. You look just like I imagined you would by the way. 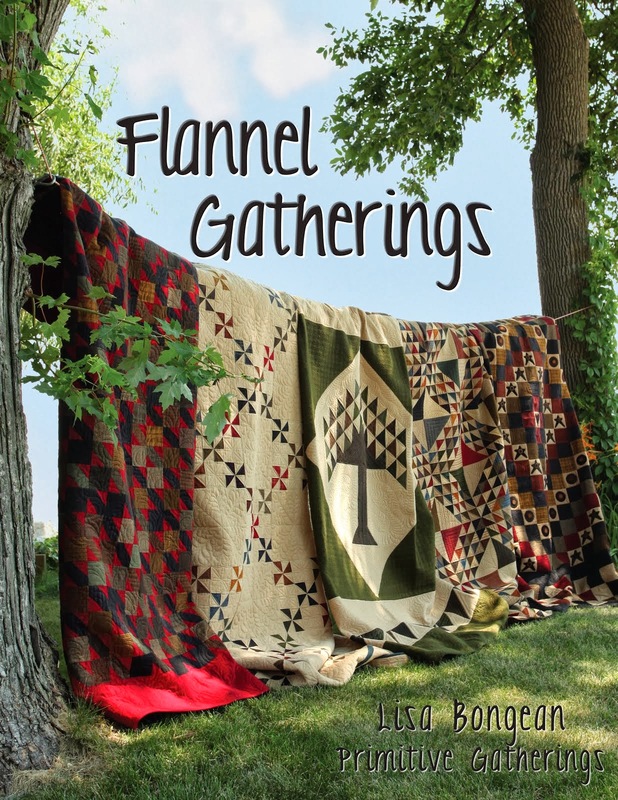 Those quilts look amazing, especially the "scraps from scraps" quilt. Oh yes, and please don't feel you need to share the snow with us! Thanks for stopping by for a visit! And you are right, Edyta's quilts are beautiful. Happy Holidays! What a wonderful day! Thanks for the beautiful pictures, Edyta's book must be a very good one. Meeting blogging friends is a real treat! It is so much fun meeting other bloggers. I have met a few that live in NC. You are all beautiful. What a fabulous time you all must have had listening to Edyta. I am off to meet Stephanie on her blog. Hi! Greetings from Finland! FANTASTIC! I am speechless! I have to show your Blog-site also to my friends!!! I'll sure come back again! You are very talented!!! Thank you for letting us to see the photos! What a wonderful day!! Edyta's book is sitting next to my computer right now, have been in love the last few months browsing this book and collecting fabric. Just love the Farmhouse, Spools, Coral Bells, Summer Star, and Blooming Basket Quilts. I am now stumped on background fabric choices, any suggestions? Enjoy your friendship with Stephanie!